LOS ANGELES — Los Angeles Clippers owner Donald Sterling has pulled his support from a deal to sell the team to former Microsoft CEO Steve Ballmer and will pursue his $1 billion federal lawsuit against the NBA, his attorney said Monday. "We have been instructed to prosecute the lawsuit," said attorney Maxwell Blecher. He said co-owner Donald Sterling would not be signing off on the deal to sell. Donald Sterling issued a one-page statement dated Monday titled "The Team is not for Sale" and said that "from the onset, I did not want to sell the Los Angeles Clippers." The $2 billion sale was negotiated by his wife Shelly Sterling after Donald Sterling's racist remarks to a girlfriend were publicized and the NBA moved to oust him as owner. The lawsuit alleges the league violated his constitutional rights by relying on information from an "illegal" recording that publicized racist remarks he made to a girlfriend. It also said the league committed a breach of contract by fining Sterling $2.5 million and that it violated antitrust laws by trying to force a sale. "I have decided that I must fight to protect my rights," Donald Sterling said. "While my position may not be popular, I believe that my rights to privacy and the preservation of my rights to due process should not be trampled. I love the team and have dedicated 33 years of my life to the organization. I intend to fight to keep the team." 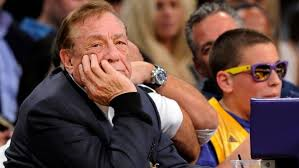 Donald Sterling had agreed to ink the deal and drop the suit last week assuming "all their differences had been resolved," his attorneys said. But individuals close to the negotiations who weren't authorized to speak publicly said he decided to not sign the papers after learning the NBA won't revoke its lifetime ban and fine. "There was never a discussion involving the NBA in which we would modify Mr. Sterling's penalty in any way whatsoever. Any suggestion otherwise is complete fabrication," NBA spokesman Mike Bass said. Shelly Sterling and her attorney Pierce O'Donnell declined to comment through representatives. Shelly Sterling utilized her authority as sole trustee of The Sterling Family Trust, which owns the Clippers, to take bids for the team and ultimately negotiate a deal with Ballmer. The deal would be record-breaking if approved by the NBA's owners. An individual familiar with the negotiations who wasn't authorized to speak publicly said Monday that there were two options for Donald Sterling -- to either sign or go to court. But even if he wins in court, he's ultimately winning a judgment against himself because his wife Shelly Sterling has agreed to indemnify the NBA against all lawsuits, including by her husband, the individual said. Donald Sterling's comments to V. Stiviano included telling her to not bring black people to Clippers games, specifically mentioning Hall of Famer Magic Johnson. They resulted in a storm of outrage from the public and players and even prompted President Barack Obama to comment on what he called Sterling's "incredibly offensive racist statements." Donald Sterling said in his statement that he was "extremely sorry for the hurtful statements" he made privately but said them out of anger and jealousy and didn't intend for them to be public. If this deal ultimately goes through, its terms allow Shelly Sterling to remain close to the organization by allowing for up to 10 percent of the team -- or $200 million -- to be spun off into a charitable foundation that she would essentially run. Under the deal Shelly Sterling would also get the title of "owner emeritus" and be entitled to continuing perks such as floor seats, additional seats at games and parking. One of the individuals said the deal also includes conditions that allow Ballmer to buy back the 10 percent portion of the team for a pre-designated price upon Shelly Sterling's death.